Club Deportivo Saski-Baskonia, commonly known as Saski Baskonia or simply as Baskonia, is a professional basketball team that is based in Vitoria-Gasteiz, Spain. The team plays in the Liga ACB and the EuroLeague. In early 2015, Saski Baskonia entered the world of eSports by acquiring Atlantis, an eSports club. 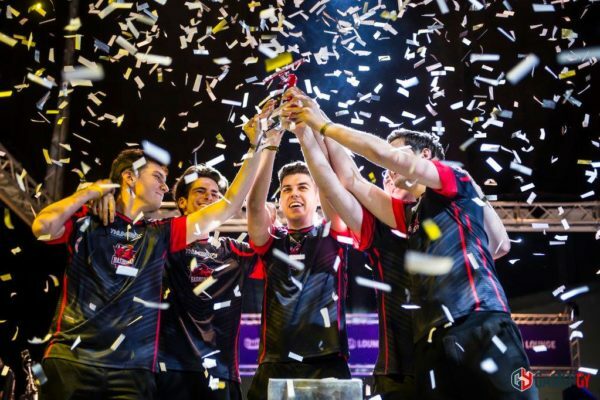 In 2016, Saski Baskonia announced its full integration to the world of eSports, and came to be sponsored by ThunderX3 – thus being renamed to ThunderX3 Baskonia. Currently the club competes in League of Legends, Counter-Strike GO, Call of Duty, and HearthStone. ThunderX3 is part of the family of Baskonia sponsors thanks to the agreement reached with Baskonia eSports since 2016. The team name change will also be linked to the new sportswear that will be worn by the team in the coming years.